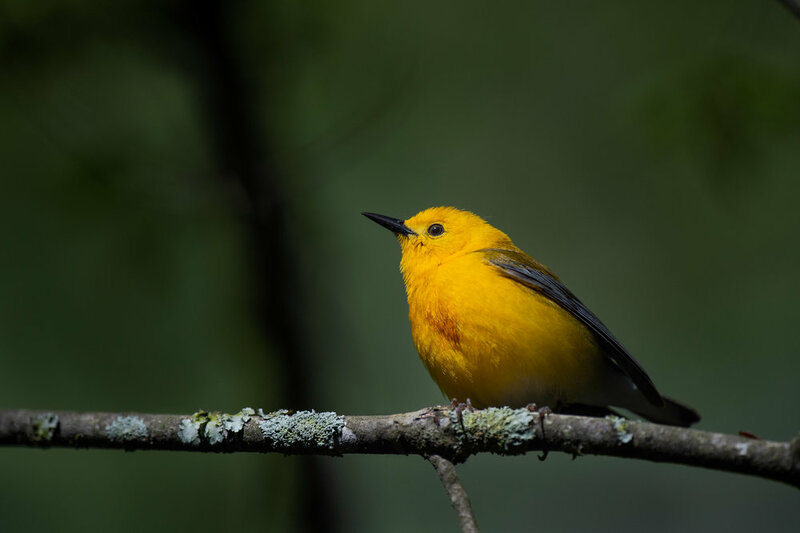 I went to this swampy location in southern New Jersey specifically to photograph a Prothonotary Warbler that Scott and I had scouted the day prior. 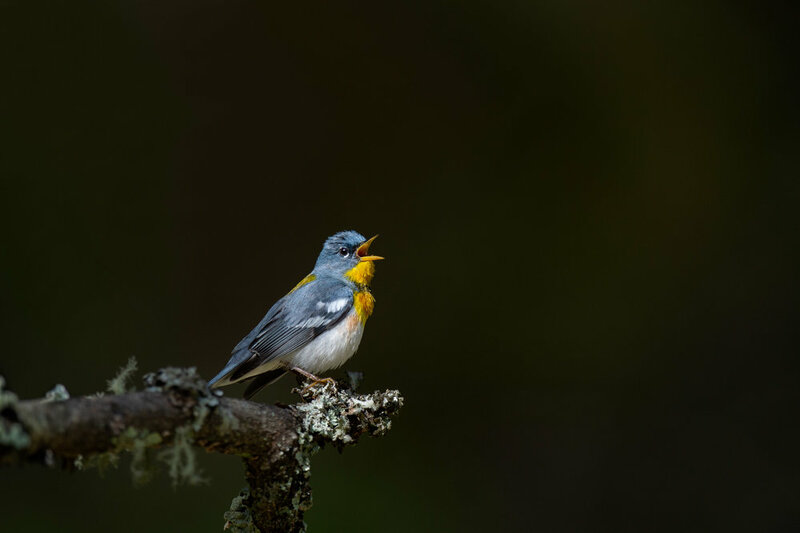 When I arrived I was walking to the swamp and heard a Northern Parula calling. 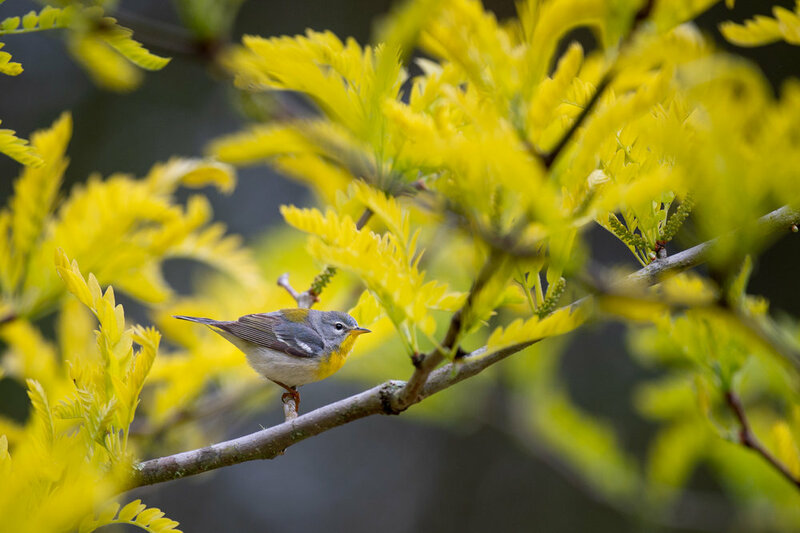 Up until that point I didn't have any good photos of this colorful warbler so I held off on the Prothonotary and worked for a bit with these lovely warblers. I was able to capture a female and male in an incredible looking tree that was covered in lichen and other great textures. They eventually moved on so I went to the swamp, put on my waders and got in the water. 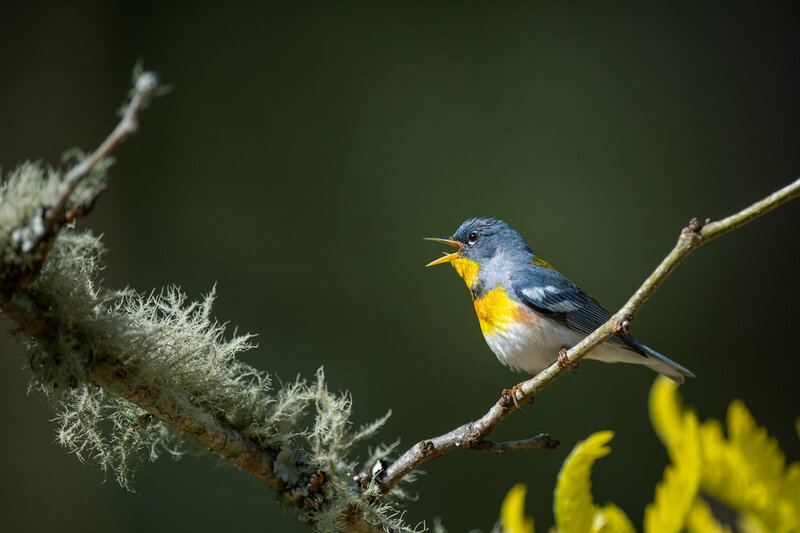 I spent an hour or more with this Prothonotary Warbler and got a few photos but nothing amazing. The sun eventually came out and it became tough to get good photos in the swamp. 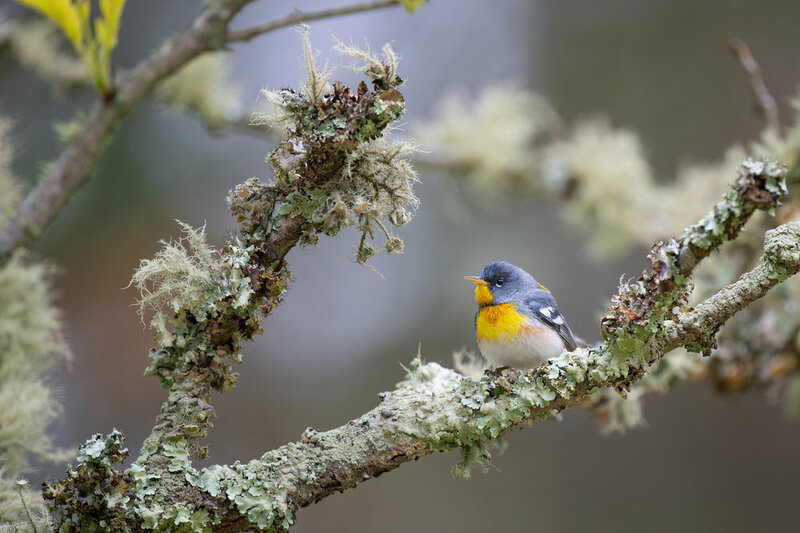 On my way out I stopped again at the same earlier tree and was able to get some dramatic photos of the male Northern Parula in the bright sun.